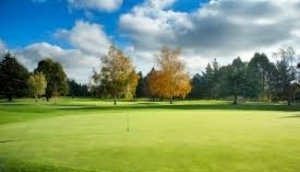 Being the green paradise that it is, Golf in Christchurch is a tempting proposition. Aside from the city based courses, there are a wealth of coastal and alpine resorts that have every luxury for the discerning golfer. Christchurch Golf promises hours of peace, tranquillity, and simply stunning courses. The Canterbury Plains really come alive at beautiful courses such as Temuka, Rakaia and Amberley. There are some purpose built five star leisure resorts in the west, aimed at those with money, and these have superb golf courses, for a price. Guided golf tours are available, to take you straight to the best actions, and often include discounts on green fees. Many golf clubs also have quality restaurants attached, overlooking the 18th green. If you're just after a quick round to while away an afternoon, Burnside in west Christchurch has a couple of good courses. The city's own golf club is in Shirley. Head to Pegasus Bay for Canterbury's newest links course, with state of the art practice greens and driving range.